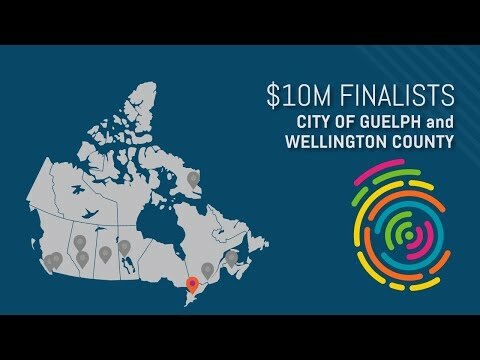 After nine months of planning involving more than 150 community partners, the City of Guelph and County of Wellington have submitted their Smart Cities Challenge application to Infrastructure Canada. Key partners celebrated the submission yesterday, followed by a presentation to Guelph City Council. Read more. Guelph and Wellington County’s Smart Cities Challenge work to create Canada’s first circular food economy is making news globally. US News and World Report cited the project as an example of using community engagement and data to drive the project forward with clarity. Read more. The City of Guelph is bringing together a panel of food experts to offer tips and tricks on how people can cut down on food waste in restaurants and in their own homes. The Let's Talk About Food event will feature local chefs and food researchers. They'll be discussing their approaches to making healthy and nutritious food and how they manage food waste. Read more. Guelph and Wellington County are in a strong position to become Canada’s first circular food economy, which could realize tens-of-millions in savings and related benefits, according to a report from UK-based Ellen MacArthur Foundation, a global thought leader in circular economies. Read more. The City of Guelph and the County of Wellington join forces with Queensland, Australia to harness circular economy synergies and tackle global food challenges. Australia announces support for Guelph-Wellington’s circular food economy Smart Cities application and establishes a new circular food lab in Queensland. Read more. Is This Technology the Answer to World Hunger? Africa has 60% of the world’s uncultivated arable land, and has the potential to become an agricultural hub by applying agri-tech and futurist thinking. Lessons from a Canadian food economy. Read more. Guelph and Wellington County want people to think more about where their food comes from — and where it ends up. The communities are launching a public awareness campaign called Be a Food Future Star, with a goal of educating residents about nutrition and food waste. Read More! 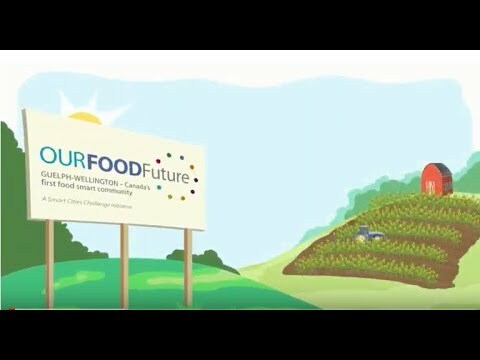 The City of Guelph and County of Wellington are partners in Our Food Future, a bold vision of a sustainable and thriving food economy that contributes new jobs, and values the planet, health, equity and dignity for everyone. Today, to coincide with World Food Day—an event that increases awareness of world hunger and inspires solutions for world change—the partners are launching a public awareness campaign and period of engagement with Guelph and Wellington communities. Read more! Guelph-Wellington’s circular food economy vision is 50x50x50 by 2025: increase access to aﬀordable, nutritious food by 50%; create 50 new businesses and collaborations; and increase economic revenues by 50% by recognizing the value of “waste”. The application has been named a finalist in the Challenge and is now in the running for a $10 million prize. Guelph-Wellington is already having an impact, thanks in large part to a not-for-profit program that’s pushing the boundaries of food security innovation: The SEED Guelph. Read more! Nationally, $31 billion in useful food ends up in landfills every year. This food waste has an environmental impact approximately equal to the emissions of two million cars on the road, according to social entrepreneur Chef Jagger Gordon, founder of Feed it Forward. About half of this waste happens in homes, the equivalent of $25 to $30 per week per household, and could support people who are not food secure. Our convenience lifestyles and lack of understanding about food waste are key reasons for this waste, notes University of Guelph Associate Professor Dr. Kate Parizeau. Read more!